A forum for candidates for Princeton Board of Education is planned. Watch your email for date and place. Chrystal Schivell and Sandy Smith will appear on “Cue the Lights,” a student-run program on Princeton Community TV. They will describe the history and mission of the League and explain voter service. Keep an eye on the website for broadcast dates and links to the video. Chrystal reported that the League will cover not only the Senate and Congressional races but also the county-level races in every county in New Jersey. She herself did Essex and Cape May. There is still time for volunteers to cover municipal and school board races in towns which have no League, like Ewing or Hamilton. Sandy Smith covered Lawrence. The more races we cover, the more valuable VOTE411 becomes. Thanks to Jeanne Turner, Kathleen and Madeleine Moriarity, Marianne Mencher, and Jennifer Howard, all races in the Princeton Area are covered. Please contact Chrystal Schivell at chrystal.schivell@verizon.net to volunteers for VOTE411. 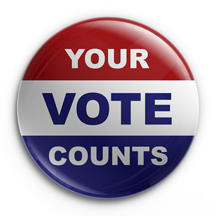 The voter registration form now includes an option that allows registrants to sign up for a Mail-In Ballot for all future elections until they request otherwise, thus eliminating the step of having to apply separately for a mail-in ballot. Sandy Smith asks everyone who registers voters to use the new form but notes that we may have to print forms ourselves since the counties do not yet seem to have enough. The Application for Vote-by-Mail Ballot has changed, with the result that voters no longer have to apply yearly for a primary ballot. Voters can check “All Future Elections,” which now includes the primary, or choose “Only One” which singles out General, Primary, etc. Voters who, in the past, automatically received ballots for the General Election were given until September 14 to opt out. Jennifer will, as a private citizen, contact the Mercer County Clerk for reassurance that mail-in ballots will not be overlooked in the Hamilton Post Office as they were a year ago. 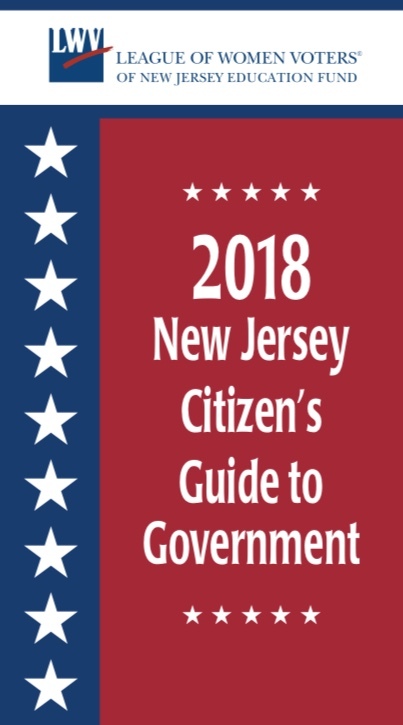 For more about NJ Voter Registration and Mail-In Ballots, go to the New Jersey Department of State website or our own League website. A student at Princeton University reached out to us to register voters at Rockefeller College on National Voter Registration Day, September 25. Members are encouraged to organize their own registration drive; Sandy Smith can provide guidance. Sandy will also contact members on her list of volunteers as needed. Contact her at sa2smith@comcast.net. Sandy Smith reported that the Speakers’ Bureau is ready to respond to requests. If someone will volunteer to lead the Bureau, we could begin to solicit engagements. 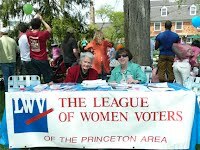 Please email us at lwvprinceton@gmail.com. At our September 11 meeting, Lee Forbes welcomed our returning members and three new members who attended the meeting: Cindy Gordon, Marianne Mencher, and Carin Lin. 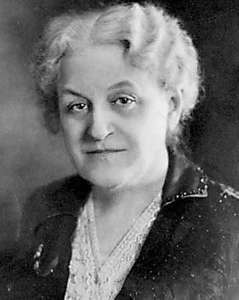 Ellen Kemp reported that, having received $1,000 from dues and $287 from Callathon, the League had a total income of $1,500 and now has $5,500 in assets. She anticipates fewer expenditures this year, because, without an LWVUS convention, we will not have the expense of sending representatives. The report was approved. LWVNJ has requested volunteers to help with a fund-raising mailing during the week of October 8 at the League office in Trenton. Volunteers should let Pat Thompson know when they are available. Email contact@lwvnj.org or phone 609-394-3303. A new mission statement from LWVUS is now posted on our website and at the top of this email: Empowering Voters. Defending Democracy. A new logo from LWVUS is forthcoming, but we will use our current logo until then. The goal is to unite all Leagues under one logo. Jennifer urged members to read about the 2018 Convention. Virginia Kase is the new LWVUS CEO. The League’s tax status may be changed, but there is no word yet. LWVNJ will look into it in the spring. Visit our public Facebook page. Events will be posted there as well as on the Princeton Area website. Please invite your friends on Facebook to Like the page so that we can increase our followers.